Both mathematics and chemistry were represented. 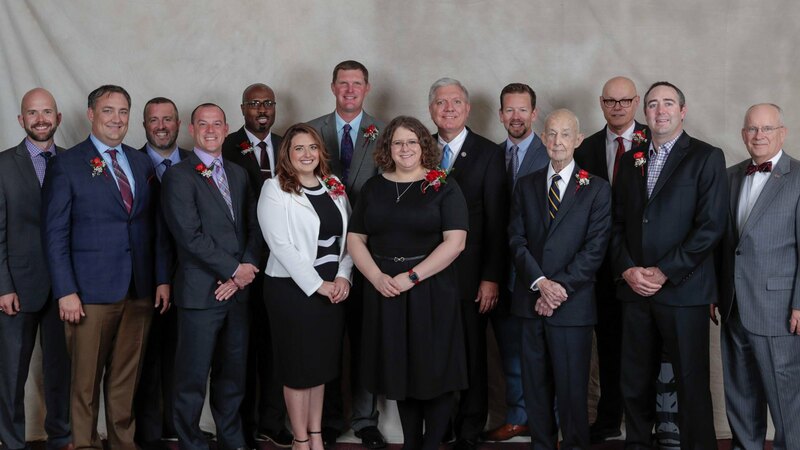 Many amazing MarooNation members were recognized at the 2018 Bears of Distinction awards. The alumni exemplify hard work and dedication to their craft. CNAS recognized two of the nine faces. Keith Rapp was awarded the Lifetime Achievement Award. 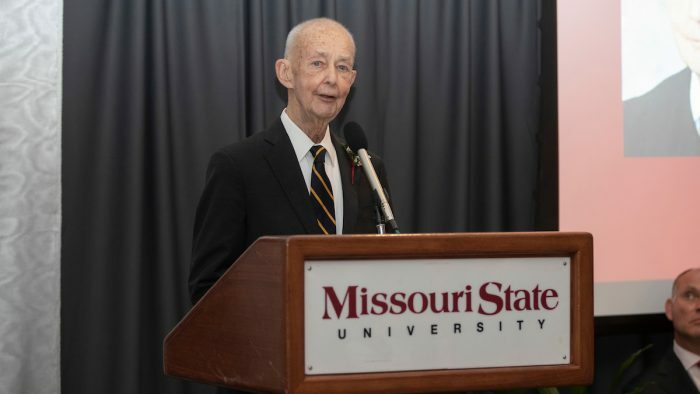 Rapp graduated from Missouri State in 1958 with a bachelor’s degree in mathematics. He is the longest serving judge on the Oklahoma Court of Appeals, beginning in 1984. Rapp has served two tours in the Navy. He has been a lawyer, aerospace engineer and director of banks and national insurance companies. Dr. Mary Krause was recognized as one of the Bears of Excellence. This award recognizes uniquely accomplished alumni from diverse professional and personal backgrounds. 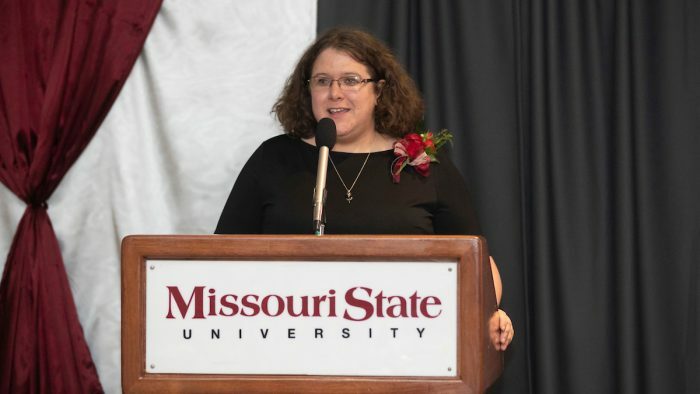 Krause graduated from Missouri State in 2005. She earned both a bachelor’s degree and a master’s degree in chemistry from MSU. She is a senior research investigator in the drug product science and technology department at Bristol-Myers Squibb Co. She has multiple patents, publications and presentations. Krause visited MSU in August to speak to students and share her drug research. Congratulations to all of the Bears of Distinction.